LankaBangla Finance Ltd. (LBFL) recently signed a MOU with NAGAR DESIGN & DEVELOPMENTS LTD & NABO UDDOGE LTD for its customer privilege. Khurshed Alam, Head of Retail Finance, LankaBangla and Engr. Md. A. K. Salim, Managing Director, Nagar Design & Developments signed the MOU for their respective organizations. Md. 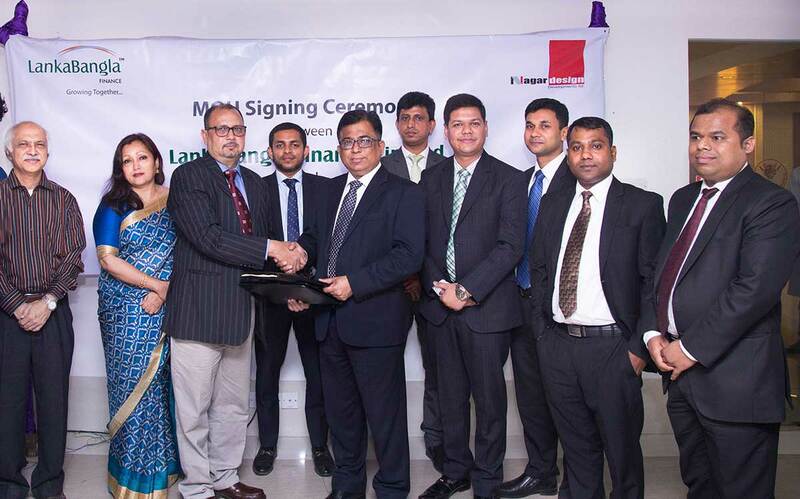 Shariar Parves, Head of Home Loan of LBF & Fatema Johora, Chairman, Nagar Design & Developments & Nabo Uddoge Ltd. and other respective officials of both organizations and distinguished guests were present at the signing ceremony.